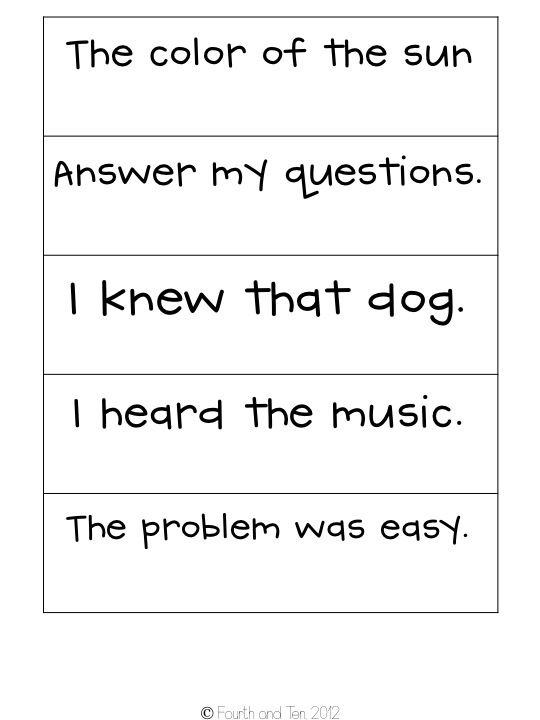 In preparation for my upcoming move to fourth grade, I've been reflecting a lot on the time I spent teaching third grade and recently interviewed for a summer school program in my district for struggling readers who are entering fourth my district. 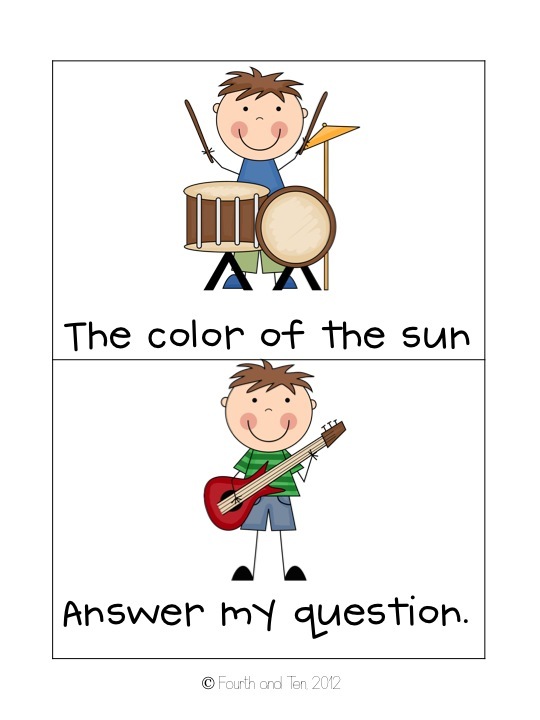 In the interview I answered a lot of questions about my experience teaching full language arts inclusion during the four years I taught third grade. 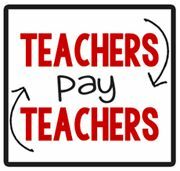 It was an experience that I LOVED, and it also got my brain ticking on what I could next year in my classroom, as I'll be doing full inclusion in ELA again. 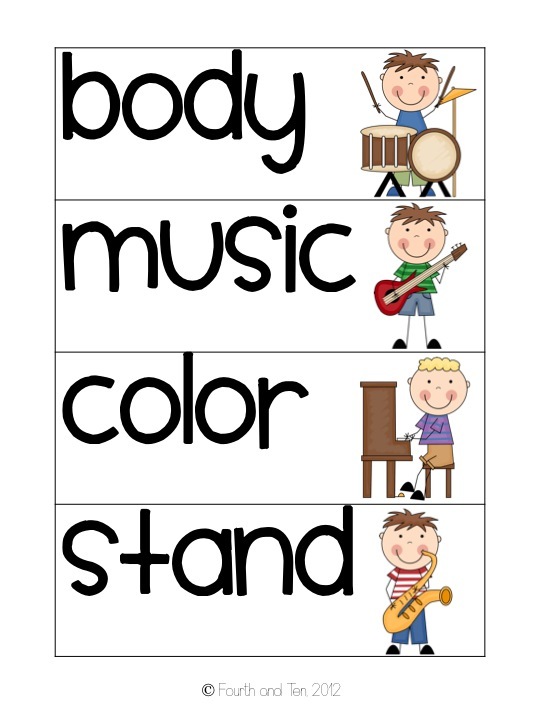 Something that stuck out at me when thinking back on my experience with my friends on IEPs, and my struggling readers in general, was that many of them did not have a strong sight word vocabulary. 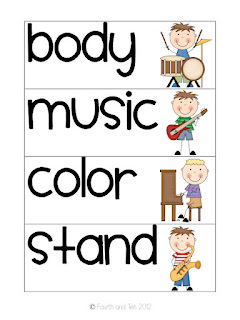 When supporting them in small groups, most words they needed help on while reading were sight words, think Fry and Dolch list words. 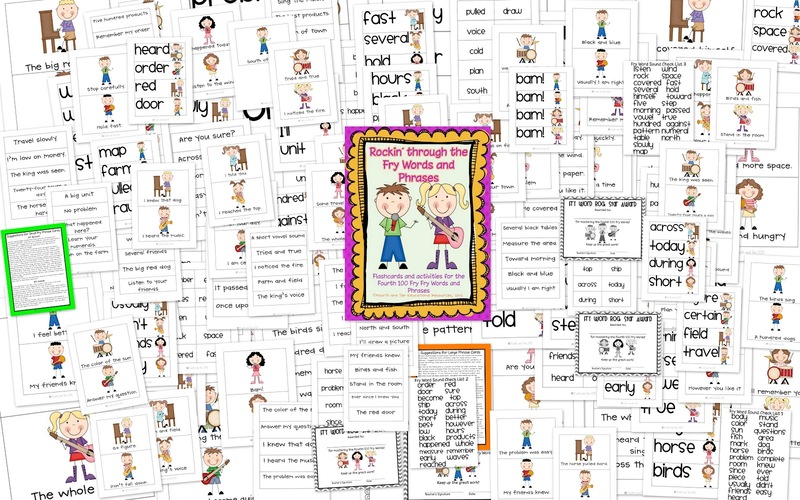 Of course many of my other students knew how to read tons and tons of the first 600 fry words, but could probably not spell many of the sight words they can read. 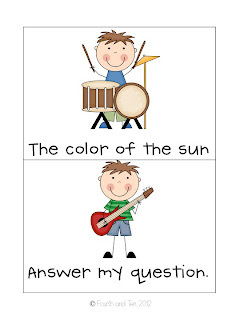 The inspiration struck me the other night for a resource that I can't wait to use next year, and hopefully in the summer program I interviewed for as well! Oh my goodness, this file is a big one! 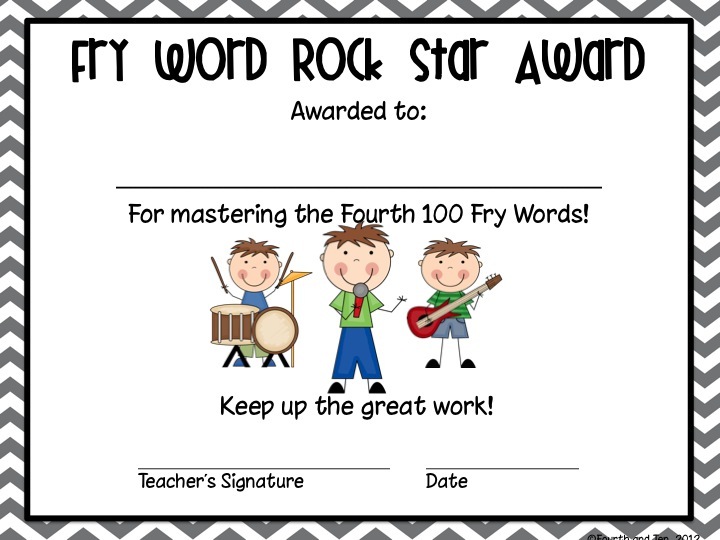 I took the rockstar theme and ran with it, creating a 100+ file to support my kiddos at school, and at home, in developing their sight word vocabularies in the older grades. 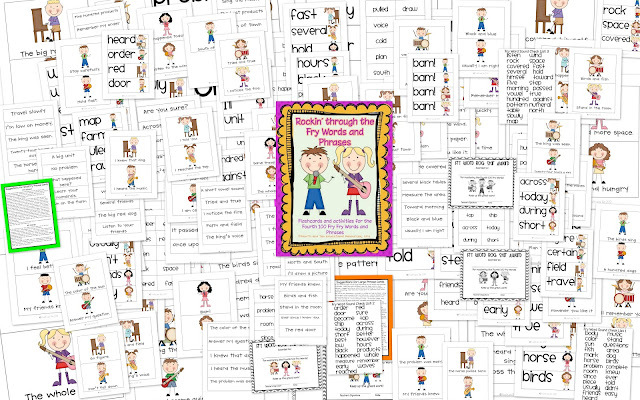 I included large flash card for the fourth 100 fry words and phrases to use in the classroom in various games and centers, suggestions for the their classroom use are included. 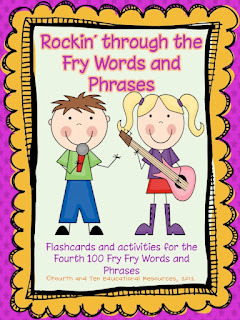 I also created take home flashcards for the fourth 100 fry words and phrases, which are perfect for parent helpers and at home practice. 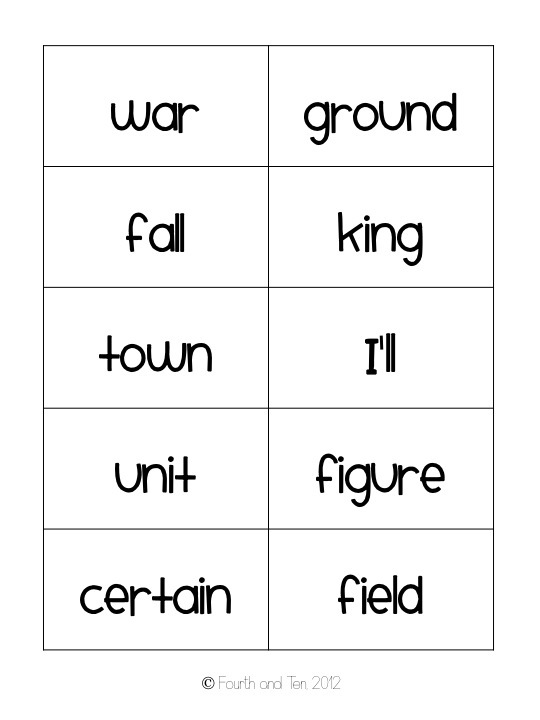 Again, I included a sheet for ideas for their use as well. 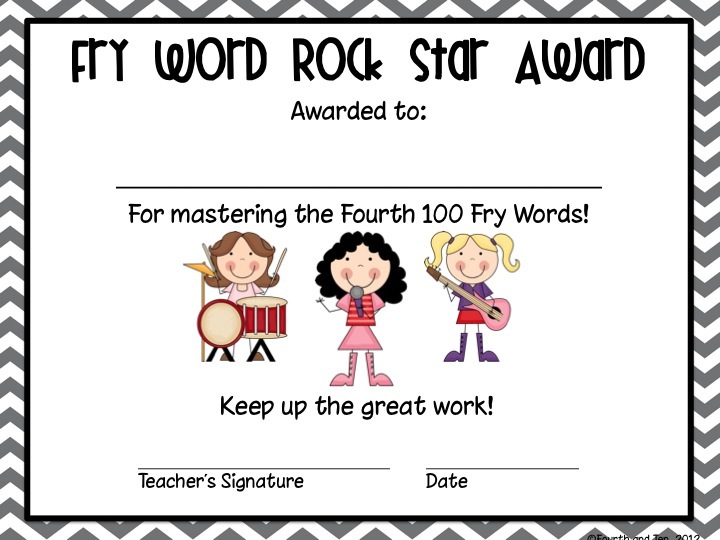 I also included a fry word sound check for you you to be able to assess your kiddos on their fry words, and an award to present to them once they have mastered all the fourth 100 fry words. 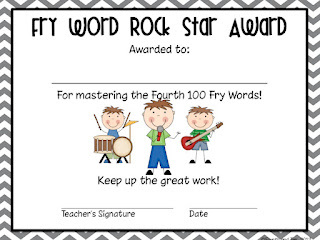 I'm so excited to use this product in my classroom, and to eventually create similar files for the third hundred, fifth hundred, and sixth hundred. 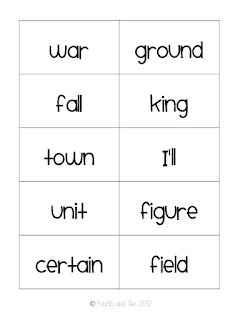 I'm especially excited to use the cards for whole class games and activities, not just with my struggling readers! 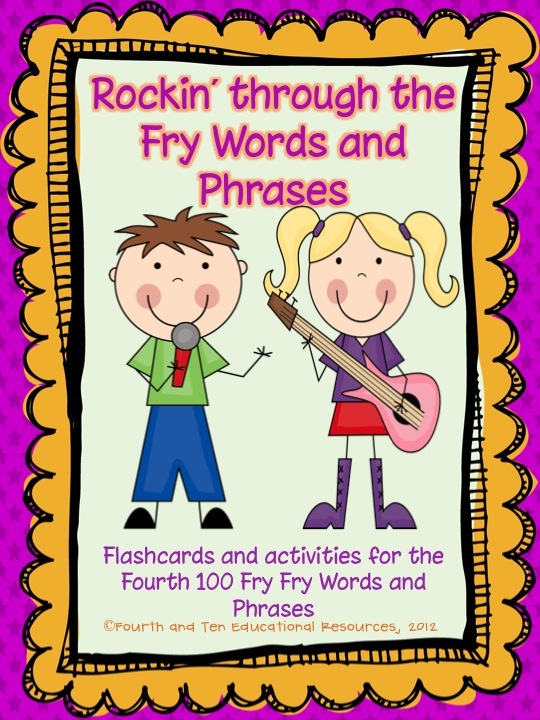 If you would like to check out my Rockin' Through the Fry Words and Phrases for the Fourth 100 Fry Words and Phrases, it is available at both of my shops. 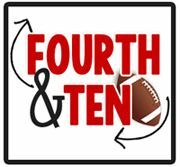 Tomorrow I have a fun window shopping post lined up to share with you! 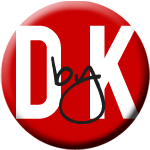 :) I saw the rough sketch of my new blog design today, and LOVED it. I can't wait to share it with y'all! I don't know how in the world I never saw your blog before! 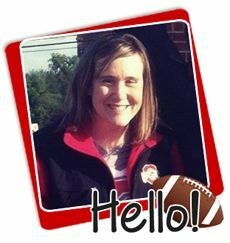 I just found you from Farley's 4th grade link-up!! 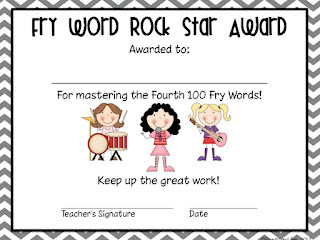 I used Fry's word list with one of my kiddos this year for her spelling tests and it was such a big help!! She improved so much in her writing and reading! 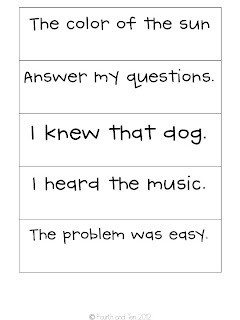 I agree that there are kiddos in the upper grades who need to learn those sight words too, even though they are using focused on in the younger grades!! Love your cute pack! presently owned in the USA are kept as Dog Collars Reviews family pets Dog collars and also harnesses Best Dog Collars are still used to train these pets.